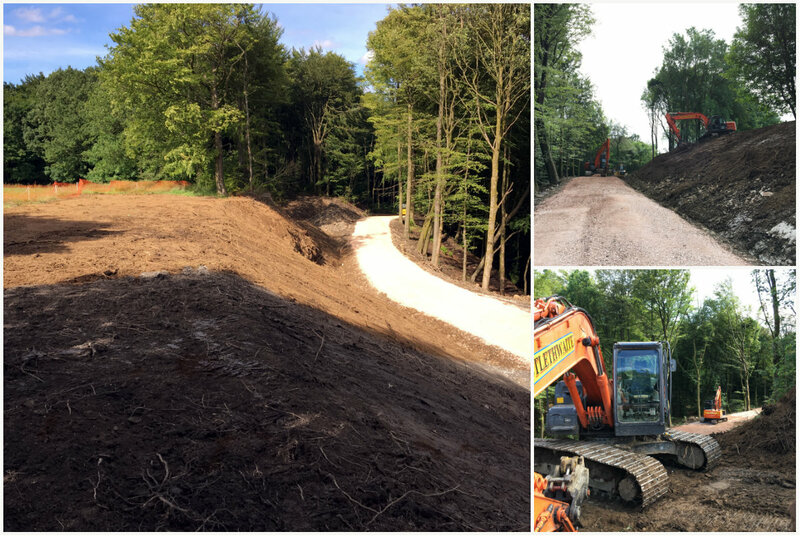 New forest access road completed as priority works for our client including excavation of bank and drainage works. Full package completed by M&J Thistlethwaite Earthworks. 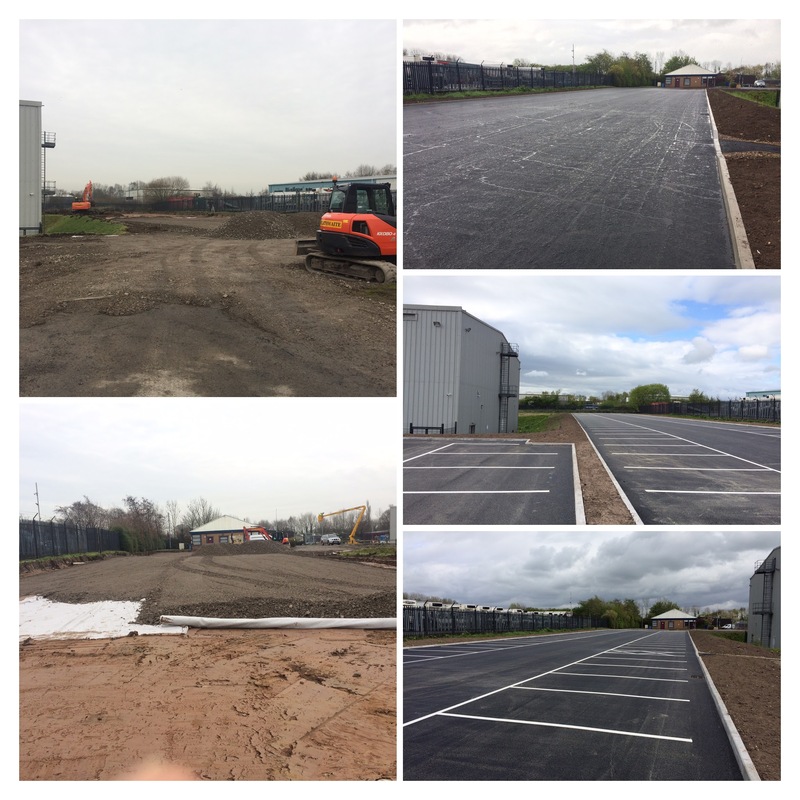 Ninety-six space car park completed and looking great. After a relatively mild winter the return of wet weather has got our tracked dumper fleet back in action. 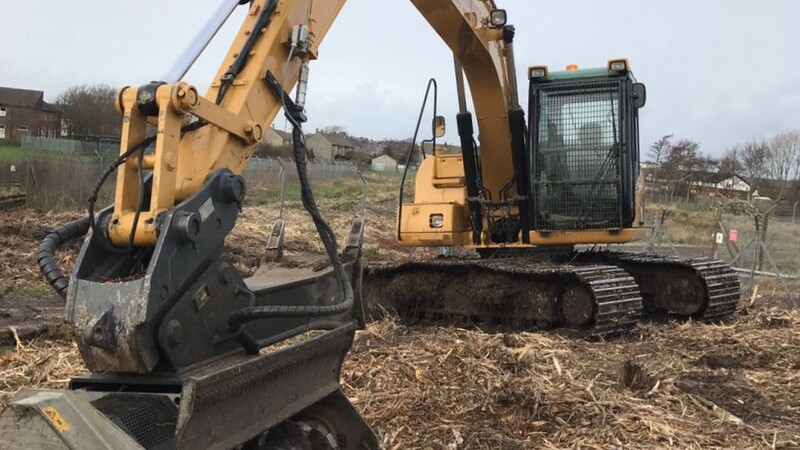 Our excavator mounted tree shears and mulchers have been back in action over the last few weeks as we help customers to get their sites tidied up and ready for spring. Our plant can significantly reduce time and labour in clearing trees and dense shrubbery as well as reducing the risk associated with operatives and chainsaws undertaking the same work. We have just been awarded the revised Green Dragon 2016 Environmental Standard. 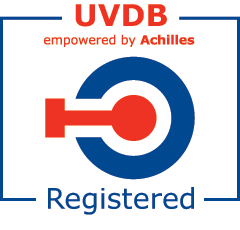 Building on several years of work we have further strengthened our environmental management systems and we are now accredited for the provision of groundwork services. Green Dragon is an environmental standard that is awarded to organisations that are taking action to understand, monitor and control their impacts on the environment. Over 1,000 organisations have achieved certification against the standard since its inception. The Green Dragon Standard is owned and operated by Groundwork Wales. 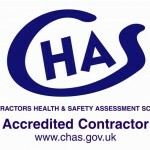 Groundwork Wales is a UKAS Accredited Inspection Body and inspections are carried out to recognised international standards. 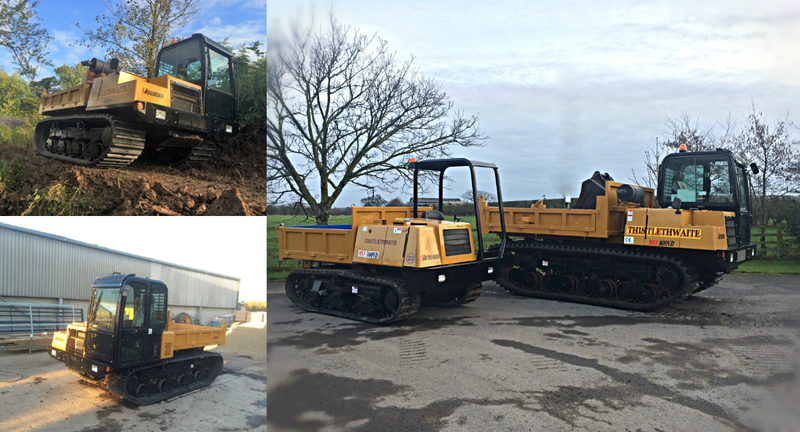 Our Bomag Trencher has just come out of the workshop after a major overhaul. This included fitting a new laser guidance system. 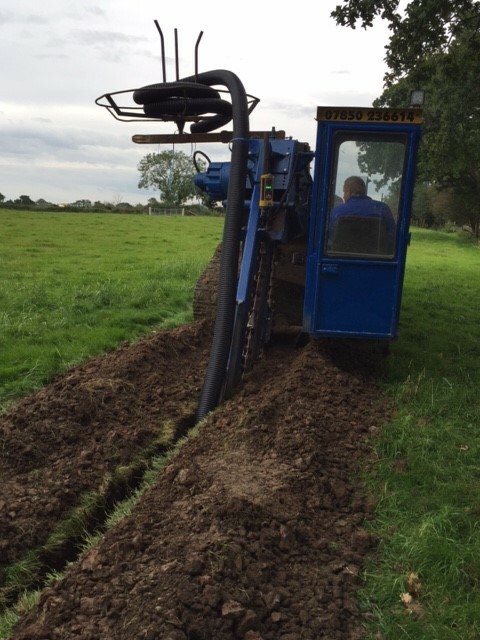 This enables us to undertake trenching with a much higher level of tolerance. 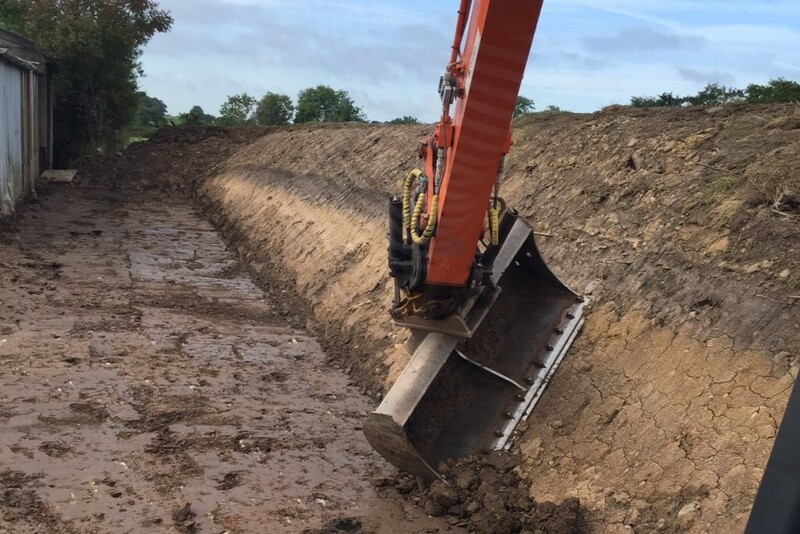 This in turn reduces the quantities of drainage stone and back fill work required and ensures that drain runs are positioned at the optimum depth and fall. 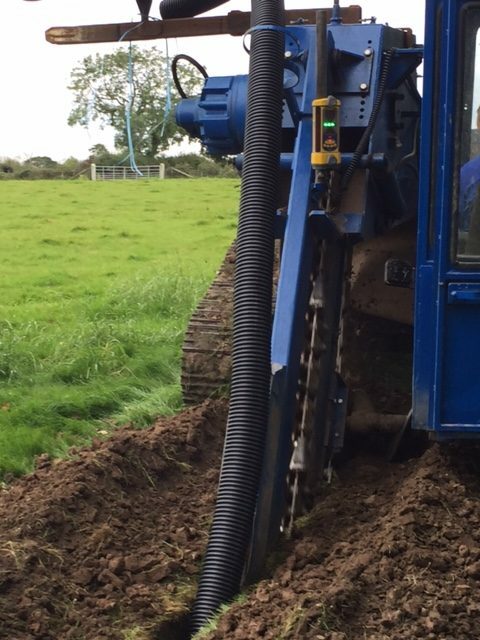 The Bomag is one of several trenching machines that give us the capability to tackle trenching jobs of varying sizes and with differing access. 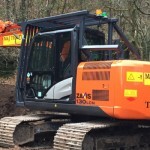 All of our operators are experienced and CPCS accredited. 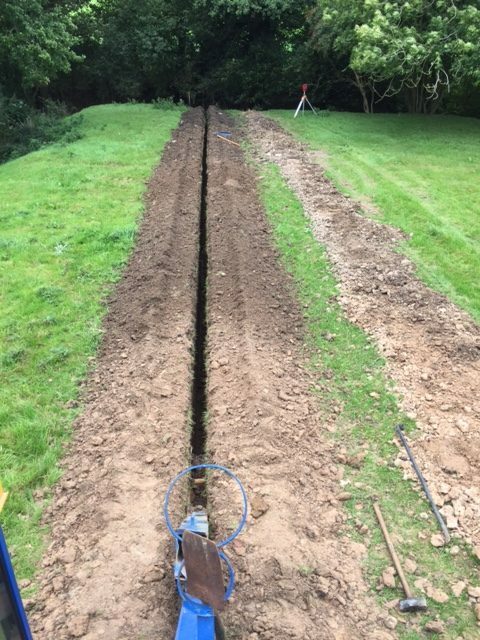 If you need help with trenching and drainage contact us using the Contact tab above. We have recently completed extensive drainage and culvert works as part of the Heritage Lottery & Preston BID Funded project to restore Preston’s Winckley Square. We were selected, in part, through our commitment to training, our team of local operators as well as our experience of working on ecologically sensitive and historic sites. As a local company we re proud to be part of the team that is revitalising one of Preston’s most historic landmarks. We have recently added to our dumper fleet with a new Marooka 800VD 7 ton tracked dumper ready for winter. This compliments our smaller Marooka 300VD and enables us to ‘keep moving’ through conditions that bring wheeled dumpers to a standstill. Our tracked dumpers also reduce damage onsite. 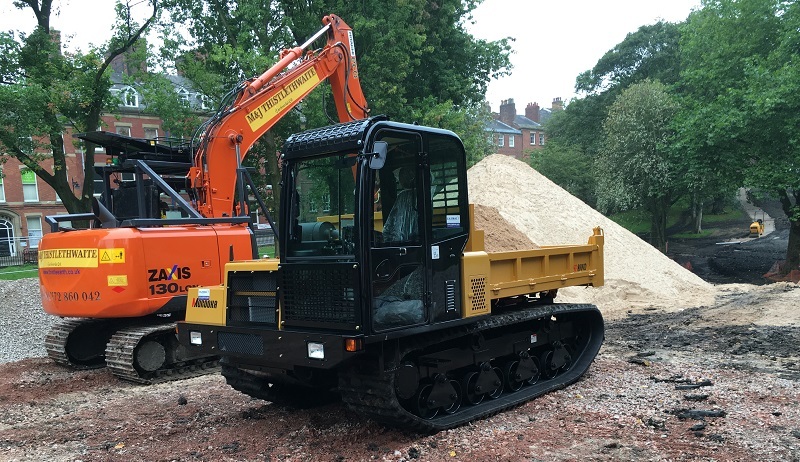 If you need tracked dumper hire, with CPCS qualified operators or self drive please contact us using the tab above. We have further strengthened our range of engcon tilt rotation machines. When working on environmentally sensitive sites, this reduces environmental impact and it improves job completion time on restricted access sites. We are able to offer tiltrotator equipment machines from 6-15 tons. The tiltrotator reduces the need to move the machine while working. It reduces the time and cost to profile and shape ponds while minimising ground disturbance. Moving the machine less times and finishing the job faster reduces fuel consumption. A tiltrotator serves as an excavator’s wrist, with unlimited rotation and tilting up to 45 degrees in two directions. Our machines are perfect in tight spaces. With a tiltrotator the machine can work in tight spaces that would otherwise require manual labor.